Showy Lady's-slipper (Cypripedium reginae). Native woodland wildflower of central and northeastern North America. 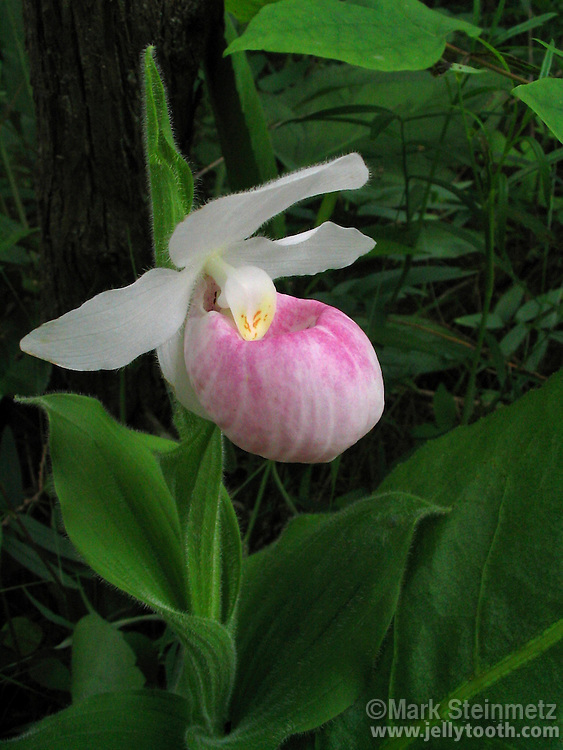 Perhaps the showiest of all the Lady's-slippers, this orchid is unfortunately threatened, endangered, or at least vulnerable in all locations it's found. It's frequently poached, but doesn't survive transplanting. It is the state flower of Minnesota. Cedar Bog (technically a fen) Nature Preserve, Champaign County, Ohio, USA.